In the Spring of 1985, while on an unrelated mission for a friend, an opportunity presented itself for on air DJ training at WVBR-FM Ithaca, the only non-profit commercial training station in the USA at the time. In September of 1985, a slot opened up between 2am – 6am Sunday mornings for a possible free form show, during which time "Rocking The Night Away" was started – four hours of free form progressive loud rock, as the term Heavy Metal was getting to be a little long in the tooth. Seven years later, with Rocking The Night Away now a five hour show, Mimi Griswold, PD at WQNY-Ithaca, hired him away from WVBR to start The Sound & The Fury on Friday overnights from Midnight until 6am. The extra time meant further expanding the ever growing library & playlists. Shortly after JRRBLL started at WQNY, Mimi was hired away by Ed Levine to take over programming of his new solid rock station in Utica, NY. He soon followed her north to K-Rock where you hear the rest of the story every Saturday night at midnight... 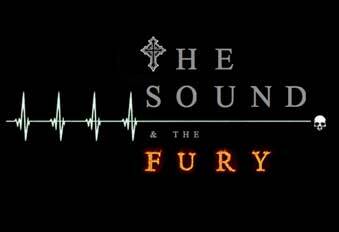 The Sound & the Fury celebrated it's 26th anniversary November of 2011.